The exhibition at Museum Fortuny in Venice opens tomorrow 10th March until June 25 and is the world's first exhibition on wax portraits analizing a field that has been studied very little by art historians.The world’s first exhibition on wax portraits will analyse a field that has been studied very little by art historians: that of life-size wax figures. This fascinating subject has recently attracted the attention of numerous contemporary artists, but has never had a specific exhibition devoted to it. 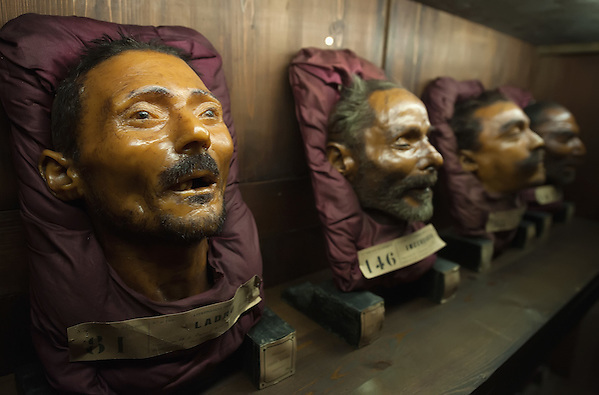 The project was inspired by two fortunate coincidences, the existence of a series of life- size wax portraits in Venice’s public collections and churches, and the centenary of the publication of Geschichte der Porträtbildnerei in Wachs (“History of Portraiture in Wax”), written by the famous Viennese art historian Julius von Schlosser and the first work devoted to the history of wax portraits. A superb Italian translation of Schlosser’s work by Andrea Daninos has recently been published, complete with an extensive and detailed critical commentary. 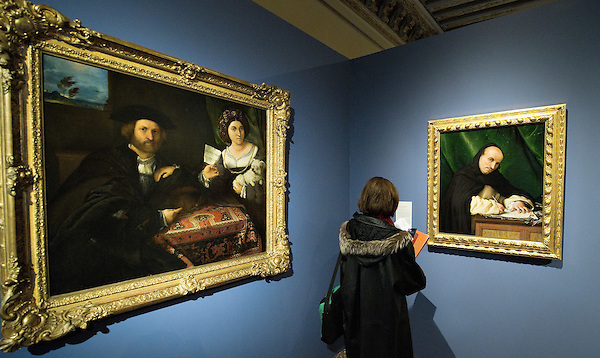 The Venetian exhibition is the outcome of more than three years of research and, for the first time, it brings together nearly all of the extant sculptures in Italy, most of which unpublished or never displayed before. I have blogged before about my challenge to 100 things. While I still own more than 100 items...if you take off the equations my work stuff, items I jointly owned with my wife....I am getting very close! A minimalist lifestyle is the one that is free of complications, clutter,confusion and distraction. Its where you have taken your life and streamlined it to make it the most efficient it can possibly be. It is also more of a process than a destination, minimalism is something that you will need to continually work on as many other factors in life are constantly going to try and complicate things for you. Why ? because the rest of the world has not stumbled onto this way of thinking yet. The vast majority still believe that if something is more complex and complicated then it must be better, rather we as minimalists prefer to look for elegant simplicity as the deciding factor of quality. Minimalist living, in simplest terms, is to live with as less as possible, mentally and physically until you achieve peace of mind. The concept is simple but achieving it is hard. Just look at the the room where you are now or at the desk you are sitting on: how many items does it contain? Is your desk surrounded by papers, notebooks, books, pens and pencils? What about your closets, living rooms and bedrooms? How much joy does all this clutter bring you? What clutters you physically also disables you mentally. While I am no expert at living minimally, it is something that I practice. I know how it is when I started and I believe will free you of the excess baggage that nothing else can bring. What should be your first step? Get rid of excess. Go through your closets and pick out all the things that you don’t need any more. Donate all clothes to a charity of choice. I promise you, this might seem tiring but at the end of it all, you will feel ecstatic for not only helping yourself, but helping others. I will be writing about how to make this process a bit easier. What was once considered ‘cheap’ (with a negative connotation) is now expressed as ‘minimal’ and ‘smart’ thanks to this economy. 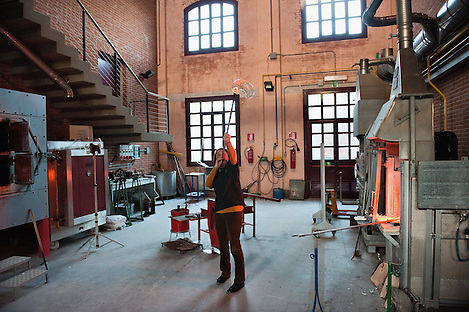 Elena a glass artist in Murano blows glass next to a glass furnace on December 18, 2010 in Venice, Italy. There are only few female glass artists is Italy and they face continuous challenges in a traditionally male dominated field.